This was definitely bassists' week in Munich. The chance to hear three international stars of the instrument within the space of six days was something out of the ordinary, even in a city quite accustomed to having its fair share of exceptional concerts. Starting off last Wednesday was Cameroon-born Richard Bona with his septet Mandekan Cubano in the Unterfahrt club. 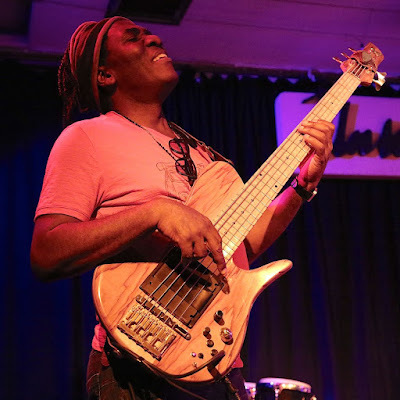 Bona emerged in the late 1980s, when with his individual, African perspective, he transferred the rock music sensibilities of Jaco Pastorious into jazz. In the interim he has become a creator of his own idiom. His version of Afro-Salsa lines up the Caribbean in its sights from the shores of Africa, and his band-mates, all perfectly in accord with this vision, create a sound world which not only serves fragile ballads very well, it also creates an energetic rhythmic flow. Whether as a singer or bassist, Bona has his band in exempary laid-back control, there is plenty of variaton in dynamics, they are in a precisely calibrated groove, giving a launch pad for soloists such as trumpeter Dennis Hernandez and pianist Osmany Paredes to get positively airborne. Two days later it was the turn of Harold López-Nussa's trio. 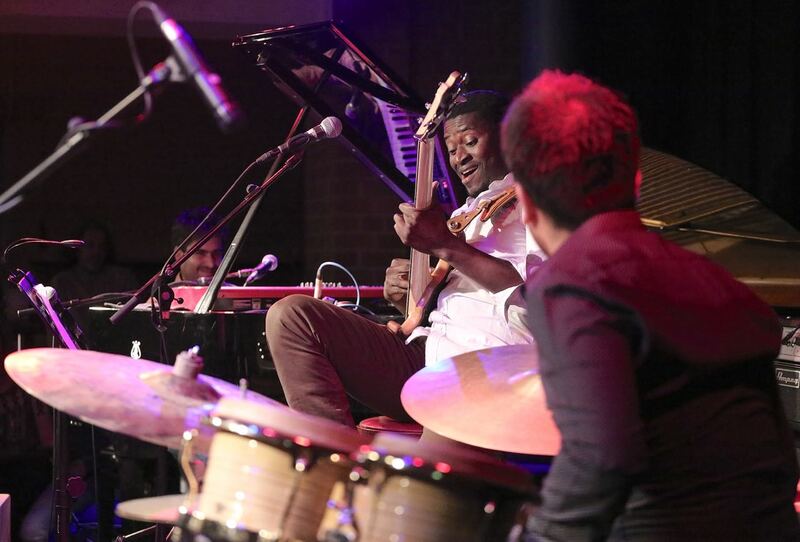 The pianist is one of the rising stars of the Cuban jazz world in his own right. He was joined by his brother, drummer Ruy. and bassist Alune Wade. Originally from Dakar, Wade first took to the road with stars of African pop music such as Youssou N'Dour and Ismael Lo, but has now definitely arrived at destination jazz. Once again there is a coalescence of musical worlds, in which Wade comes across as more introverted than Bona in the way he conveys the melodic heritage of his native Senegal. He is similarly versatile and adaptable in the way he combines Caribbean, North American and African music, and is just as focused on communication with his fellow band members. He is also adept at giving propulsion to the lively and complexly organized eco-system of Cuban-inflected sound. By comparison, the grand old man of the modern bass Marcus Miller, who was giving the opening concert of the twenty-fifth summer season at the Bayerischer Hof, came across as rather conventional. He places reliance on his own heritage, by celebrating much of the Miles material, from Jean-Pierre to Tutu with a touch of Afrodeezia, while bringing his audience refreshment with his thumb-popping antics. 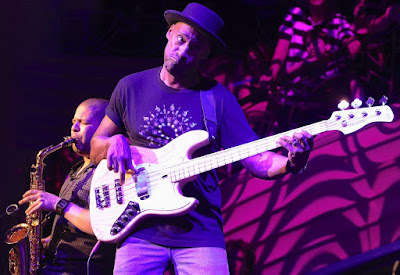 It is technically dazzling and effective, but in musical terms, the creative offerings of Miller's bass colleagues from the previous week left him way behind.